To investigate , study recover and produce some of the fruits and vegetables which we work with in our kitchen we need to surround ourselves with providers and agricultures who share our passion for the products that have been forgotten or the products that are new in land marketing and joining gastronomy. 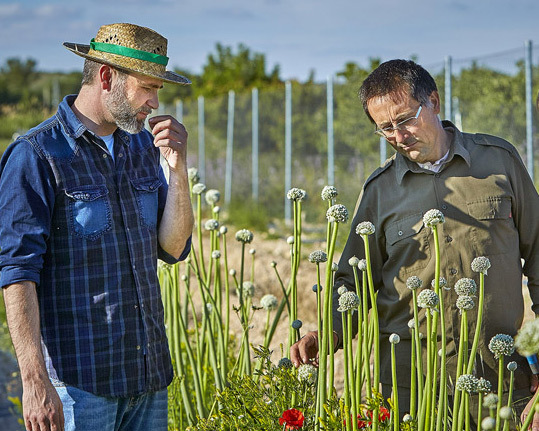 We speak then with some famers currently working with Rodrigo and his team, producing and innovating in their gardens unique products so we van incorporate them into our dishes. Héctor Molina, farmer works in the recovery of disappeared commercially from his garden in Villa –real and some places from Castellon. He runs the 3 elements sun water & land, a new model farm project that I working in the adaptation of different plant species from all over the planet and recovery of national varieties in extreme danger of extinction among which can be highlighted among the nearly one thousand references; the first commercial tangerine Polo Barnabas introduced in 1835 dictamus Hispanicus or tomato ple Llucena. In parallel he also directs crec3r project educational project from the origin of food promoting and educating health values, sustainability, the environment, new technologies and cooperation to about ten thousand children. Fernando Alcázar Fernando Alcazar is the producer of fruits and vegetable that with his garden in Aranjuez, Madrid. He studies and recovers ancestral cultures of the ribereña garden . since he began his study he has registered more than fifteen varieties of native and endemic strawberries. In addition to working on the study of product specially known in the riverside garden like strawberries, he also works in recovering crop stone fruit such as nectarine, paraguayos and in the production of weeds as purslane mustards and other known vegetables of riverbanks. 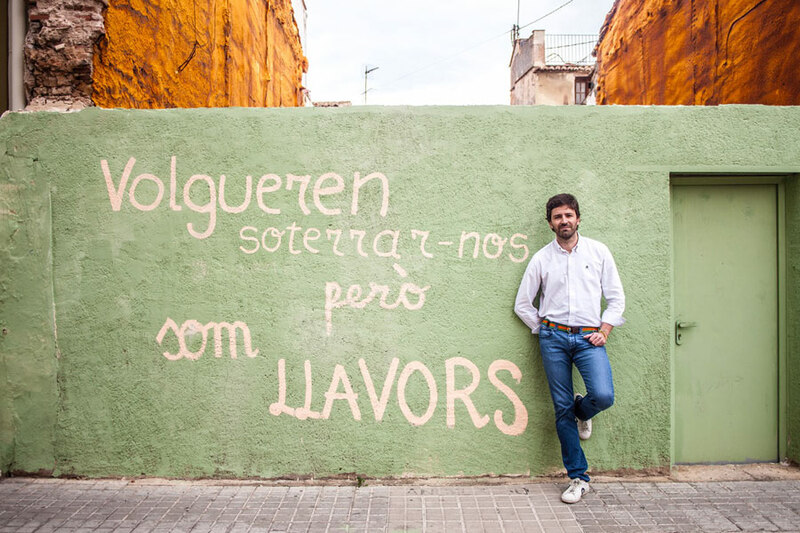 It belongs to AlmaMakro program, an initiative for the supporting of small producers of quality who want to recover tradition of gastronomy its taste, flavor and its smell of its native Spanish products. Francisco Sánchez works with his team in a project named Paso Doble. 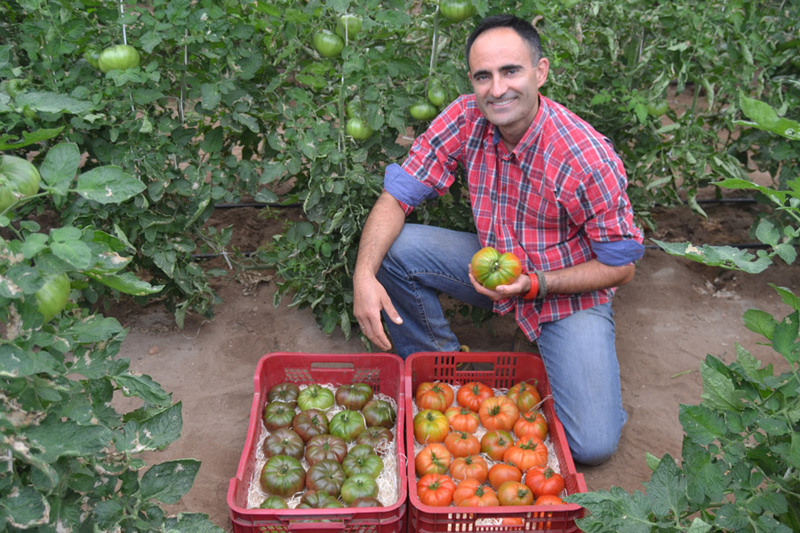 This project works on recovering the lost tastes, selecting seeds from a large number of variety of tomatoes free to produce in his Almeria estate. Do you consider yourself part of this team? Do you want to share it with us?